Machine wash and dry for easy care, Allergy Free! Continental Bedding Premium Cotton Mattress Pad Every mattress eventually gets worn out and needs to be replaced, unless if you find a cheaper way to deal with it. One of the possible ways to go about is to use a mattress cover. 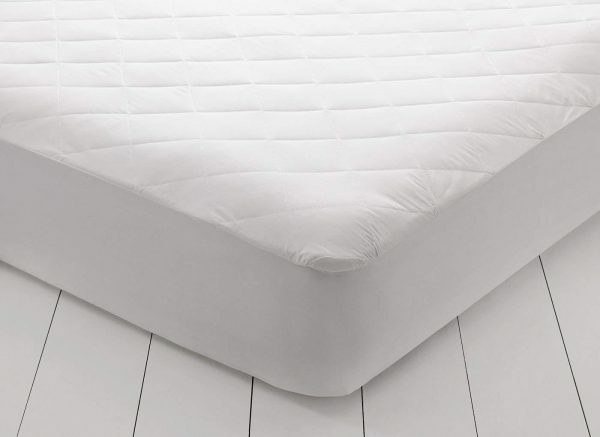 Continental Bedding Premium Cotton Mattress over is among the best options homeowners need to consider nowadays, including the latex, memory foams, and many others. However, what makes a cotton mattress very special and perfect to use as a cover to your mattress is that it provides adequate protection from the dust mites, allergens and bed bugs that can possibly hamper your good sleeping habit and can lead to different allergies. 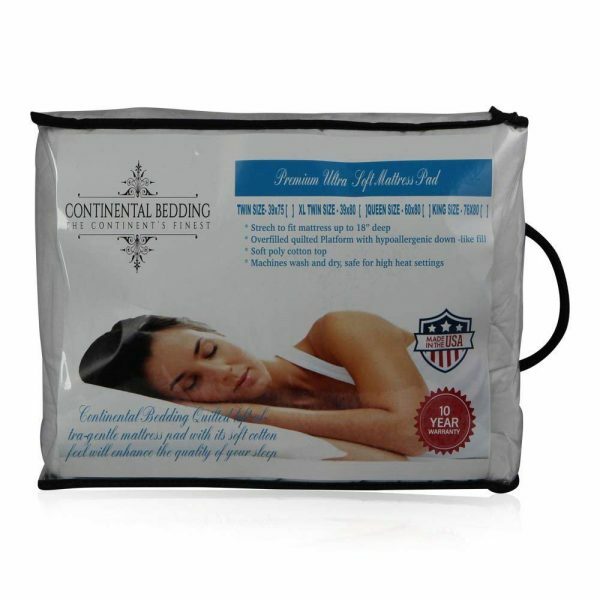 Continental Bedding Cotton Mattress Pads can easily help you in enhancing your nightly sleep quality. It is so puffy that you will feel like sleeping in a cloud. Cotton is also a reliable material for helping your mattress from not getting wet when spilled by different kinds of liquids and fluids which would eventually ruin it completely. A mattress instead of being an expensive accessory in bedroom, every bit helps. Preventing it from getting stain at the first place is much better as well as easier than removing the spill or stain once the damage is already done, not realizing that as simple as pulling the cover of the mattress can help solve the problem. This can help you from preventing to inhale the allergens that can easily get access inside your body through the skin. Because of the fact that Continental Bedding Cotton Mattress Pads can be washed easily, this is considered as the best option to keep your mattress and cover free from those kinds of contaminants present from your bed. 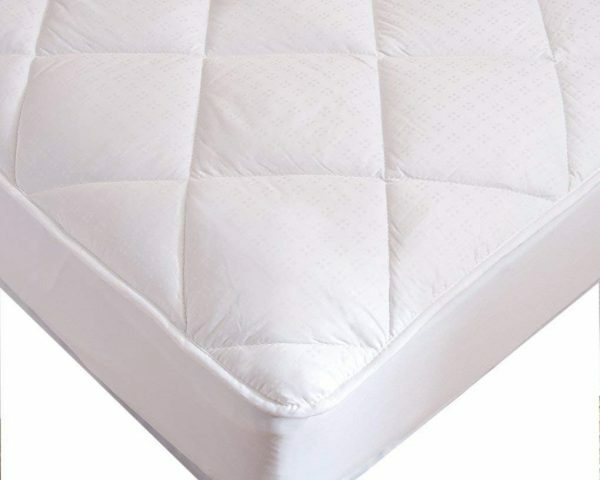 100% cotton, 300 thread count fitted-quilted, king size Continental Bedding Cotton Mattress Pad can completely encompass the mattress and because of the fact that it’s waterproof, nothing can possibly get through the mattress. If needed, it can be washed, dried, and pulled over back to bedding with complete ease. 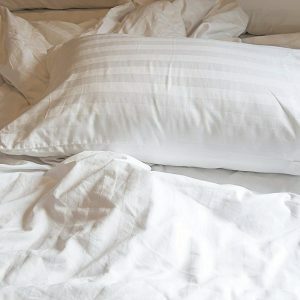 Better Down Damask 100% Cotton Better Pillow Protector 300 Tc. Continental Bedding Damask High Quality Set of 2 100% Cotton Zippered Pillow Protectors 300 Tc.